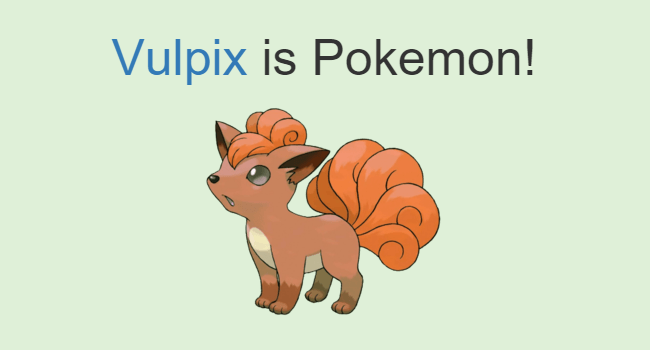 Vulpix. Tokutek. Arbok. Arvados. Are these the names of big data companies, or Pokémon characters? It’s a surprisingly tricky question — and the premise for a funny new online quiz. Maintained by Tim Carry, a software engineer at Algolia, a San Francisco-based SaaS startup, the page simply presents a name in big, bold letters, and then asks visitors to choose one of two buttons. 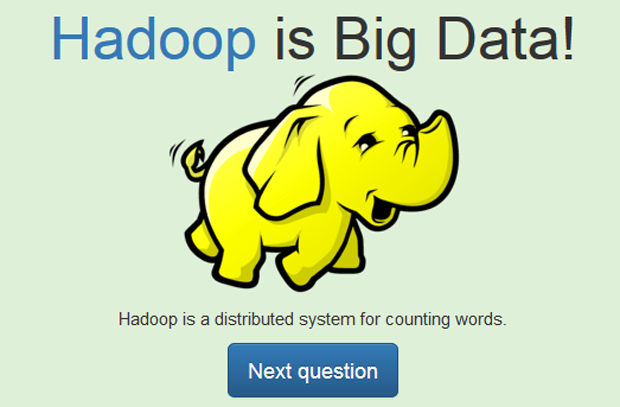 Big Data? Or Pokémon? After the choice is made, the answer is revealed with either a company logo or a cartoon illustration of the fantastical Pokémon character, along with some humorous commentary. For example, Arvados, a data science platform, is described as having its own Pokémon-liked superpower, as it “spins a web of microservices around unsuspecting sysadmins.” Visitors are asked about both Seahorse (a big data company) and Horsea (a Pokémon character). For a satirical site, Big Data or Pokémon has an esteemed pedigree. It’s actually an update to an earlier version of the quiz that was created by “Big Data Borat.” That popular parody Twitter account had been offering up sarcastic tweets mocking big data by adopting the backwards optimism and broken English of Sacha Baron Cohen’s character from the 2006 mockumentary Borat. “Learnings of Big Data for Make Nation of Kazakhstan #1 Leading Data Scientist Nation,” the tagline for that Twitter timeline promised. (Kazakhstan is the fictional homeland of Borat). And in April of 2014, “Big Data Borat” scored a hit with the original version of the quiz — which he released using Google Forms. “You is able to tell which nonsense word is Pokémon character and which is the latest craze in #bigdata technology? You just might qualify as #bigdata expert,” read the introduction to the mock Borat’s original quiz. The URL for the original quiz earned a considerable 140 points on Hacker News, along with some grumbling that the Pokémon names being used weren’t the standard English translations. One commenter shared the URL for a similar quiz challenging visitors to distinguish between Pokémon characters and the names of startup companies. Borat’s URL provoked a lively discussion, attracting 37 comments and eventually inspiring Tim Carry to create his own version of the quiz. So ironically, Big Data Borat may have found himself in the middle of his own bubble of hype. Harvard math professor may predict upcoming flu spikes with a big data-style analysis of Google search results. Ted Koppel’s new book warns of cyber-terror threats. Perl “monger” Brian D. Foy launches a geeky KickStarter campaign to put Perl creator Larry Wall on a “Heroes of the Revolution” t-shirt. Gates/Bezos/Zuckerburg team up to invest in clean energy. In January, California implements a hefty 15 percent “surcharge” on users of prepaid cell phone plans. Custom car designer George Barris buried in Batmobile-style coffin.